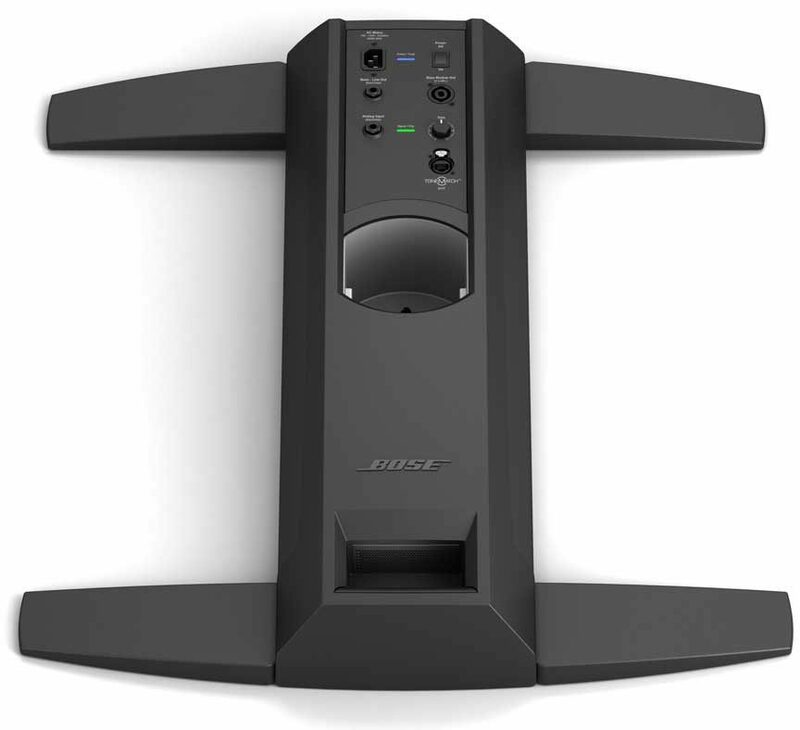 The Bose L1 Model II Single Bass System provides wide coverage and smooth tonal balance. And it's packed with proprietary Bose(R) technologies designed to improve your amplified sound. Like the original, award-winning Bose L1 system, the Model II sound system is an all-in-one innovation that replaces conventional monitors, mixers and PA speakers. This system includes one B1 bass module for extended low-end reinforcement. 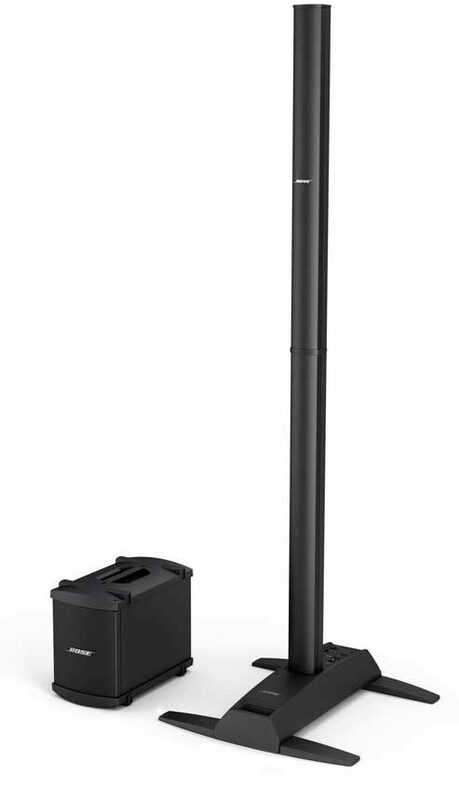 The L1 Model II system's breakthrough loudspeaker produces wide, uniform sound coverage of nearly 180 degrees -- onstage and throughout an audience of up to several hundred -- with little dropoff in volume and tone. The Model II system also features Articulated Array speaker technology for better tonal balance. The loudspeaker's 24 vertically mounted drivers are precisely angled to create clearer highs and more consistent tone in the room. 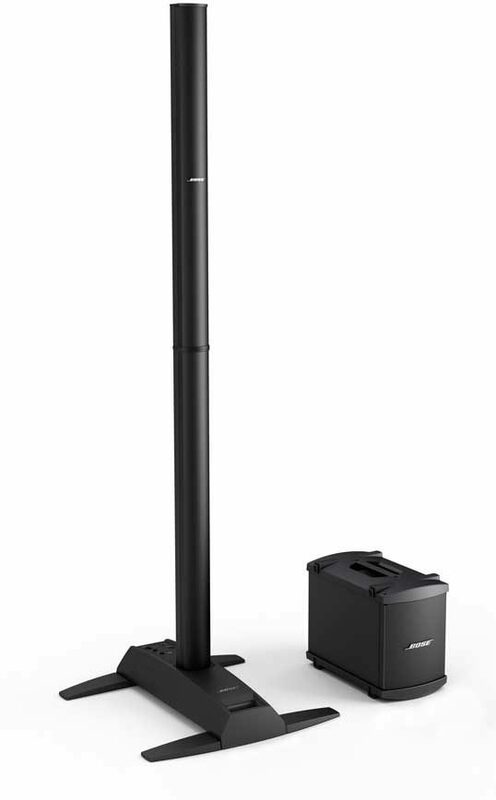 Even people off to the sides of these stage speakers enjoy well-balanced, detailed sound. This Bose L1 Model II system comes with one B1 bass module to ensure more accurate amplification of lower notes for most voices and instruments -- including guitars, keyboards and various horns. Highly efficient speaker design features two 5.25-inch (13.3 cm), high-output, high-excursion drivers that produce deep, strong bass from a small enclosure. 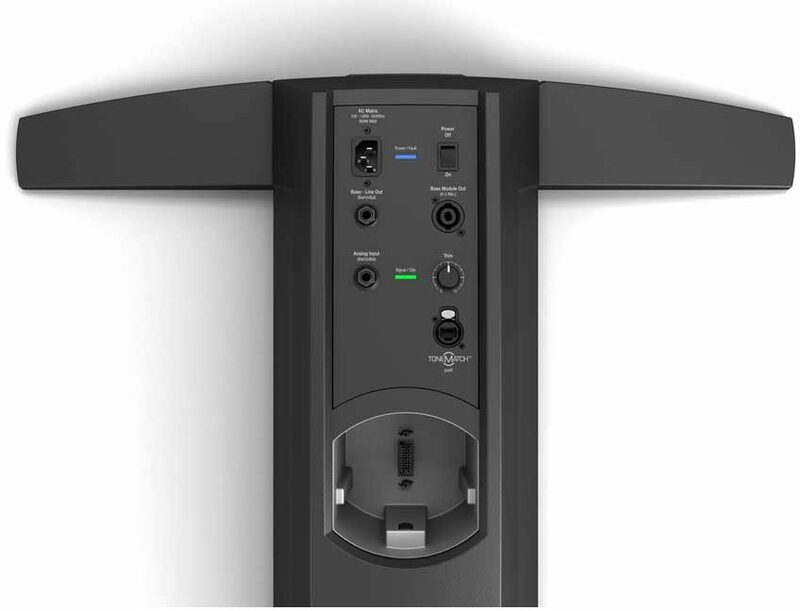 When connected to power stand, active equalization circuitry automatically adjusts bass signal appropriately. B1 bass modules are considerably lighter and smaller than conventional bass bins required for the same performance. Two B1 bass modules are recommended for use as a bass guitar amplifier, and for kick drums and DJs. Power up to two B1 bass modules, or one B2 bass module, on a single power stand. With an optional PackLite(R) extended bass package, you can power up to four B1 bass modules, or up to two B2 bass modules.